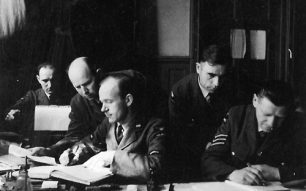 Sergeant Mordasiewicz travelled to many RAF bases with 302 Squadron, beginning with Leconfield in Yorkshire, followed by, in order of arrival: Northholt, Tangmere, Kenley, Warmwell, Harrowbeer, Heston and Hutton Cranswick. However, his journey did not begin here in Britain – as with all the remaining Polish Armed Forces – he had to first endure exile due to the Russian invasion of Poland in September 1939. 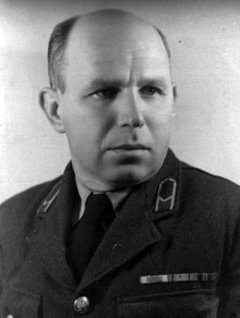 It is believed Wladyslaw was first mobilized to Lida, in Belarus, to serve with 5 Air Regiment. He then made his way from Warsaw to the interncamp in Romania, where thousands of Polish servicemen were awaiting exile to France and Britain; after the fall of Poland it was expected that Polish forces would escape and find internment in neutral countries like Romania, Hungary and Latvia, with the intention of joining the defence in Britain and France. The escape to France was not easy. With the pressing of German forces in the area, the many escape routes from the internment camps were long, secretive and dangerous. Wladyslaw is reported to have been on one of the many routes out of Romania traversing Greece, Syria and Palestine, before finally making it to France. Here, he gets assigned to No. 1/145 Squadron, which briefly operated over Dunkirk delivering Hurricane fighters. Wladyslaw stays in Blackpool for just over a month before being posted to the first all-Polish fighter squadron, No 302 Squadron, in Leconfield. 302 Squadron is then called to replace 303 Squadron at RAF Northolt, as 303 “need a well-deserved rest”. Whilst at Northolt he recognises the debris of a hurricane in which a fellow Polish soldier he knew in France had died, Sgt Siudak. He is then moved again, this time further south, to RAF Tangmere. Just a month after Tangmere suffered its worst attack leaving 5 dead and 12 injured, Sergeant Mordasiewicz and 302 Squardon are sent to RAF Kenley on 7 April 1941. His first impressions of Kenley are good, as he notes that the office where he will be working is “spacious and comfortable” and finds Kenley to be a “well-equipped station”. He was billeted in private housing, where he shared a room with 3 other Poles: Smiglak, Cichecki and Szczepanski. On 30 May 1941, Wladyslaw reports a peculiar incident in which a fellow serviceman by the name of Wandzioch had “gone crazy” and ran away from the barracks only wearing a shirt. The episode is not further elaborated on in the diary, but ends merely by informing us that “he ended up in a nut house”. Another strange, or rather more disconcerting incident, occurred on August 24 in the same year. A Polish pilot called Sgt Kropiwnicki was killed during a landing, with the cause of the crash being undetermined. Wladyslaw notes that it had happened just as chaplain Staroscik had arrived at Kenley, and that this was a strange coincidence because on the chaplain’s previous visit to the airfield another soldier (Sgt Nasorowicz) was killed also. The matter is never resolved in the diary but is concluded by the fact that the priest was “made aware of this coincidence”. There are recurrent, desperate feelings of anxiety throughout the diary due to Wladyslaw’s estrangement from his family back in Poland. He did not know if his wife, Jozia, and his children Janecka and Ziutek were safe until a year into his service in Britain. He finally received word that they were alive and well whilst he was still stationed at Kenley, on 21 August 1941. Despite the perceived animosity in the diary between the Polish and English serviceman during his time, there are accounts where Wladyslaw seems to have had some fun and made efforts to integrate with British culture. He often writes of what he calls “Stallionery”, a term he christened to describe the various diversions from war which included drinking, flirting and dancing at the Public Bar in the evenings. He also had an English serviceman friend at Kenley called Hughes, with whose family he stayed with in Carmarthen, Wales. He often travelled to London on leave, but seemed to enjoy quieter excursions in the English and Welsh countryside. 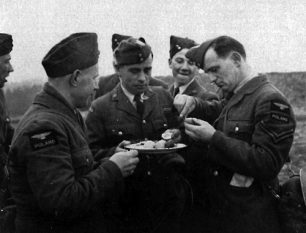 After the war, and years of service as an orderly in the RAF, Sergeant Wladyslaw Mordasiewicz returned to Poland in 1947. In later life he worked as an accountant. He died in Gdansk in 1986. He seems to have been a diligent, respectful and reserved man who had strong family values, as his diary attests. Thanks to Krzysztof Mordasiewicz and Wilhelm Ratuszynski for use of their work and photographs. For more information, please visit their website.